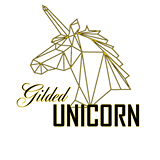 Gilded Unicorn is one of the most highly anticipated new restaurants coming to Spokane currently. The Gilded Unicorn will be a craft cocktail bar and eatery located in the basement of Downtown Spokane's Montvale Hotel, in the space that was last Catacombs Pub. 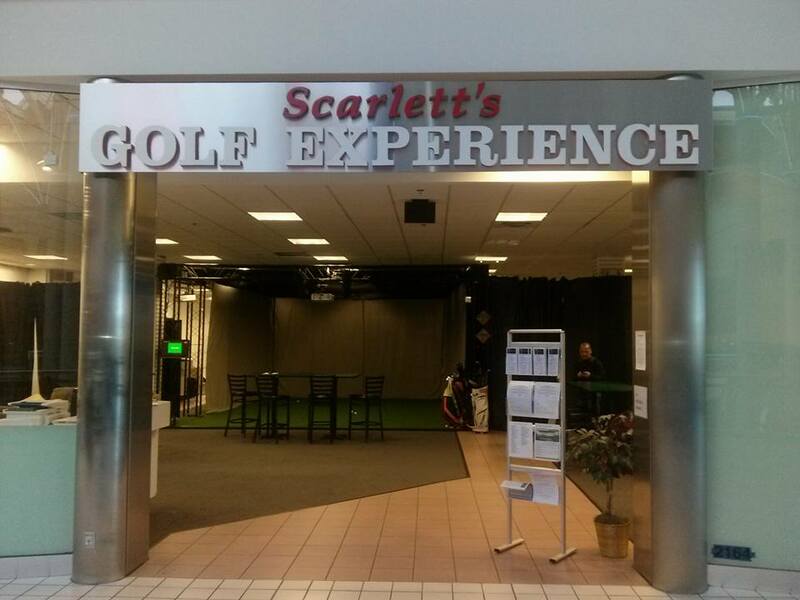 And, now they have announced they will officially open for business on Friday, December 4th at 3:30 PM . 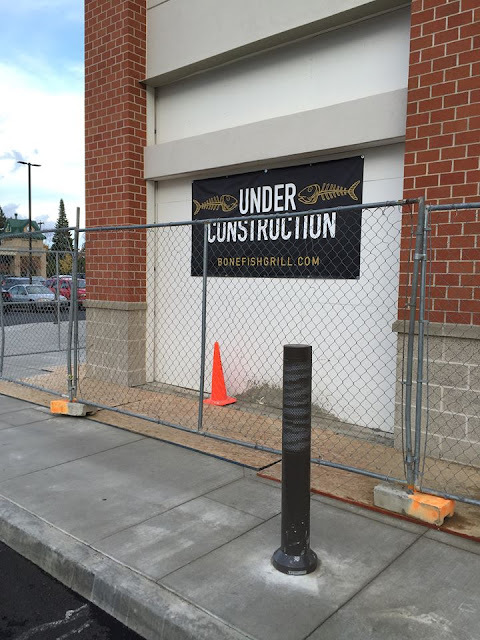 The deal is not yet final, but it looks like the rumor of Yoke's taking over the going out of business Haggen Northwest Fresh grocery store in Liberty Lake is true. 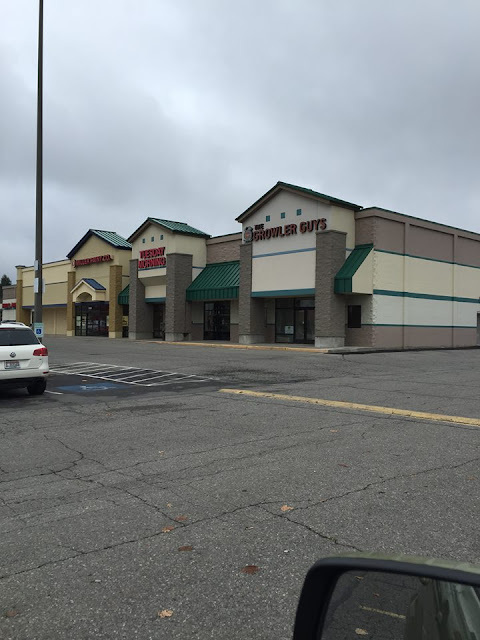 Yoke's was a successful bidder for the location, which was only a Haggen grocery for a short time. The locally based Yoke's chain we are told already has a preliminary sale agreement for the store. Yoke's corporate offices confirms this news, and although the store's sale is not done yet, they say they are working on plans for the store. The store, which is located at 1233 N. Liberty Lake Rd. in the Liberty Lake Plaza, however will still likely be closed down for a time because Yoke's is hoping to remodel the store for their own use and merchandise. 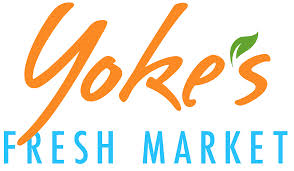 Yoke's Fresh Market is based in Spokane and has actually been growing and changing over the last couple of years. 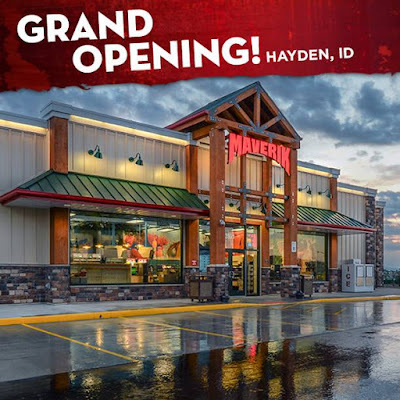 The chain has expanded more into the Tri-Cities area and even recently wrapped up an extensive remodel of it's store at 210 N. Foothills Dr. in Spokane. Usually Habitat for Humanity spends it's time and money on building new residences for family's who can't afford the high price of a home / home loan . 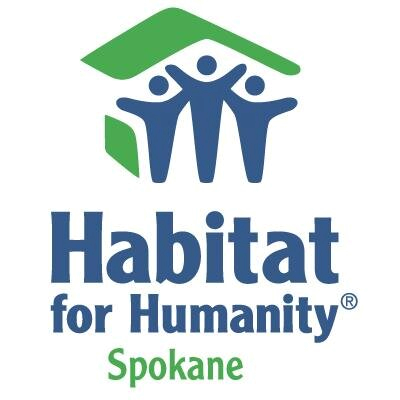 And, while that effort , and their Habitat ReStore retail efforts are continuing, the Spokane branch of the non profit is now taking the time to build for themselves. Habitat for Humanity has acquired the former Pacific Wholesale Florist building at 1805 E. Trent Ave, east of Downtown Spokane. The non profit will remodel the entire building for their own uses, allowing Habitat for Humanity to move both their offices and retail store operations to one central location. The remodel of the building will wrap up in the Spring of 2016 with Habitat for Humanity occupying the entire 27,000 square foot building. About half of the building will be used for office space, the offices will move there from 732 N. Napa. The other portion will be a Habitat ReStore retail store , which is moving to the new building from the Spokane Business & Industrial Park. Habitat for Humanity ReStore sells building materials that have been donated by local contractors and the community. The donated items are then sold at prices marked well below the big box home improvement stores with profits going back into helping Habitat for Humanity build new homes. Habitat for Humanity has built more then 260 homes in Spokane County. And, that number continues to grow with the non profit developing a new 100+ home subdivision called Hope Meadows in Deer Park. Since, this will be the last post on this site before the Thanksgiving holiday ( Happy Thanksgiving! ) 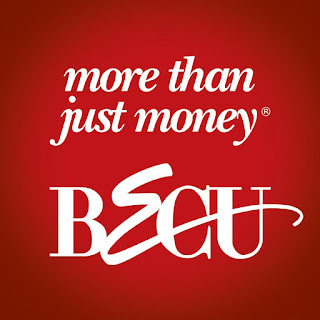 it's time to remind all readers of this blog to be sure to save some of your weekend shopping money for this Saturday. That's because, this Saturday is Small Business Saturday! 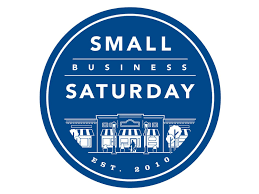 But, why should you care about Small Business Saturday? Well, first of all many small businesses all around the Spokane area will have great deals for shoppers. And, shopping at small businesses pays the community back and keeps business owners going, putting food on their tables and roofs over their family's heads. 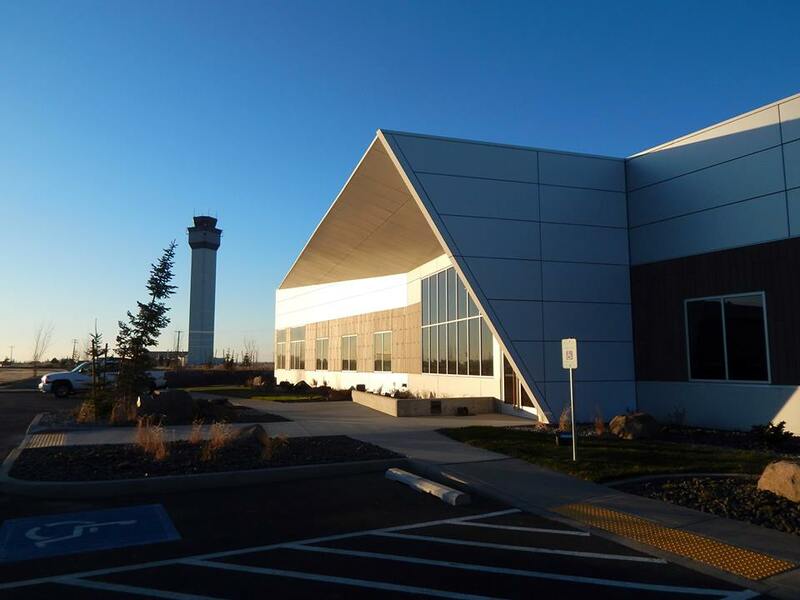 The Bellevue,WA based Odom Corporation,with less than a year since opening a new larger distribution center for the Spokane market ( 200,000 sq. feet on W. Thorpe Rd. ) is now moving forward with plans for a new larger distribution center in Hayden for the Coeur d' Alene / North Idaho market. Construction has already begun for the new North Idaho Odom Corp. distribution center, which will replace their current smaller center on Schreiber Way in Coeur d' Alene, which is running out of room. The new distribution will be 92,000 square feet and rise just off of US 95 at 12281 N. Warren north of the Warren K Industrial Park. Construction on the distribution center has already begun and is planned to be completed late spring next year. Although the building will be much larger then their current center, the move will create no new jobs. However it will open up there current building to another company that may create more jobs. Odom Corporation is a beer distributer that serves much of the Northwest United States . Odom carry's over 100 different brands from domestic beers, micro brew beers, hard ciders and some soft drinks. 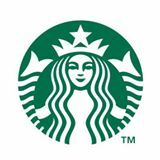 Even though their power is back and they are back open with limited menu / limited hours ( as of now ) . Oasis Espresso was without power for several days, taking a serious hit to the their profits. If your looking for an excellent drink, please keep Oasis Espresso in mind and keep them afloat! If your business is/was without power because of the Windstorm last week. Please email me at inlandbusiness@yahoo.com for a free mention on this site to help get you boosted back up after the days off. Chef Chad White, while originally from Spokane,who has spent the last several years building an impressive culinary career in San Diego is returning to the Lilac City. Chef White , a graduate of Central Valley High School owns two restaurants, one in San Diego and another across the border in Tijuana . Plans are to keep both restaurants in business, in fact the San Diego restaurant, Craft Pizza Co. , White hopes to franchise out for multiple locations ( Maybe Spokane will get one ?!? ) . Most impressively, Chad White will be a contestant on Bravo's hit TV show, Top Chef in it's 13th season, which premiers next month. He has risen quickly in the culinary world, starting his chef career in the US Navy in 2002. Native Post & Provisions website describes the new restaurant as offering " Chad White's borderless flavor " . 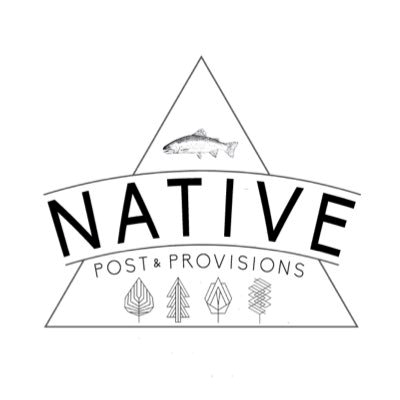 It will incorporate ingredients native to the Northwest from Seafood to Wild Game to seasonal produce. Also, be sure to watch Chef Chad White on Bravo's Top Chef TV Show season 13, which premiers on Bravo at 10pm , Dec 2nd & 3rd ( 2 part premier episode ). Speedco , a chain of quick lube and tire shops geared at semi trucks has broken ground on it's first location in the Spokane area. Speedco bids itself as the only national network of quick lube and tire services for the trucking industry. The chain is based in Nashville,TN. and is a indirect subsidiary of Bridgestone Americas Tire Operations. 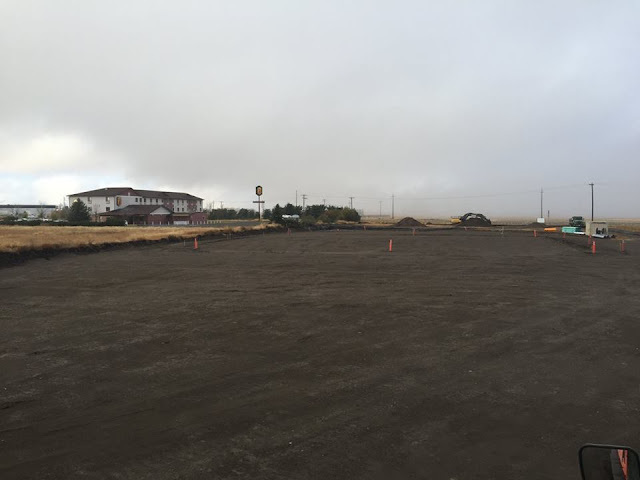 Speedco's new Spokane area location will rise on the West Plains, at the I-90 / SR 902 exit. 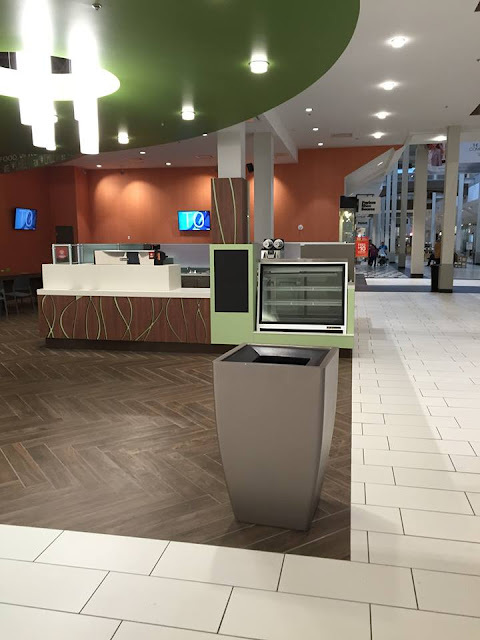 Baker Construction is acting as the general contractor for the site which is on Westbow Blvd. near a Super 8 Motel. Here is a photo of the site, now cleared and ready for utility instillation and building. The new Spokane Speedco will be about 11,000 square feet, still offering both tire & lube services. It is planned to open in the Spring of 2016. This will be the company's 52nd location, all of which are located along key, high traffic freeway routes. 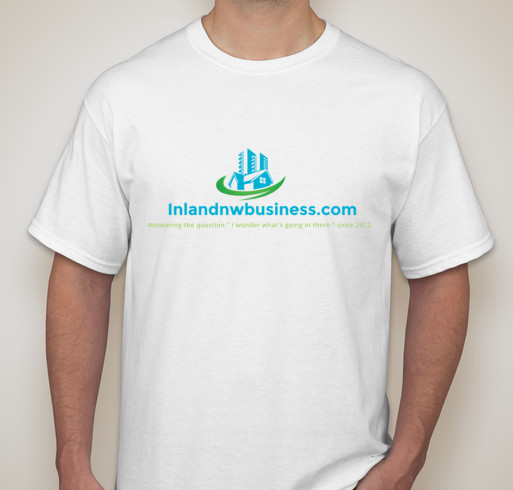 Tonight I'm kicking off a short term feature on inlandnwbusiness.com . I'm calling it " No Power Business Profiles " pointing out the businesses that are closed because the lack power after the Windstorm of 2015. Many of these businesses are small businesses that will struggle because these days of being closed are a serious hit to their bottom line. Please, when you head out over the next few days please keep them in mind first once they re-open, to help keep these business afloat! 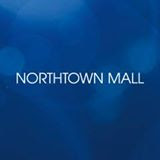 If you own or work for a business affected by the storm and now closed, and would like to be mentioned in one of these " No Power Business Profiles " contact me at inlandbusiness@yahoo.com or via Facebook. After struggling for sometime now, it looks like the end is near for the 50% Off Card Shop chain. 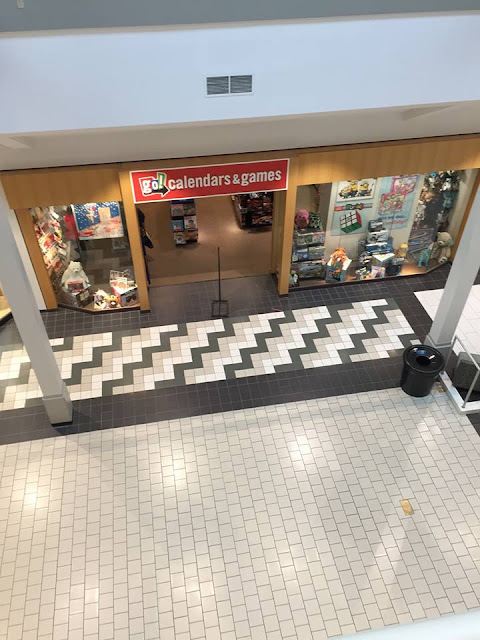 We have confirmed that the Coeur d' Alene location is closing it's doors, and are also hearing that the Spokane stores will also be closing. We have inquired with their corporate office, but have not received a comment. There is no for sure last day of business. 50% Off Card Shop sells discounted greeting cards, in addition to party supplies, gifts and balloons . 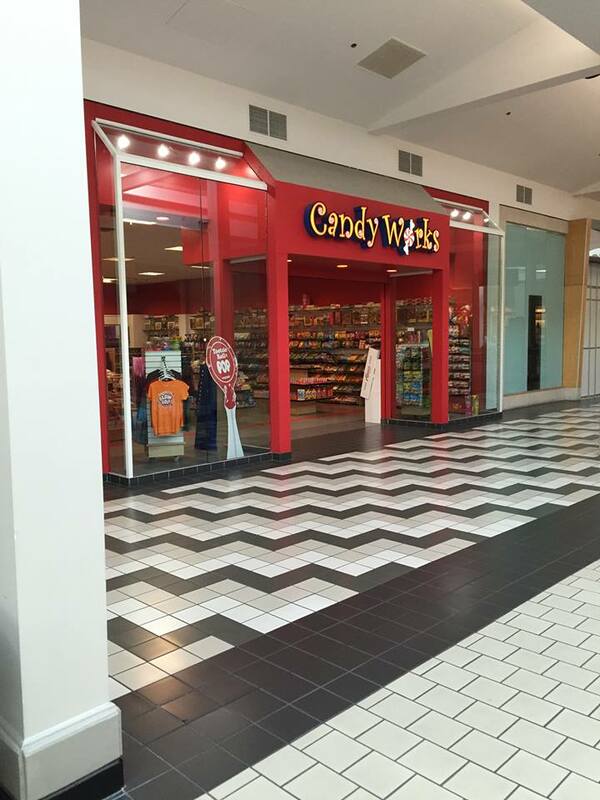 They also have earned a name for selling a decent sized selection of Halloween costumes every year. 100.3 FM becomes " Spokane's first FM news / talk radio station "
100.3 is now an FM broadcast of the strongly conservative leaning news / talk station KXLY AM. 100.3 had been a low power translator of their country station, 99.9 Coyote Country. KXLY AM also remains on the air on the AM dial at 920 AM. Because of the close proximity to Spokane, Kootenai County has been underserved by local radio. But, that's changing as KXLY Radio Group has transferred it's 92.5 FM translator station into a separate radio station called 92.5 Kootenai FM , which will act as station geared toward Coeur d' Alene and North Idaho. 92.5 had been a translator of 92.9 KZZU prior to the Kootenai FM launch. Kootenai FM is also broadcast on 1080 AM , KVNI AM which had been broadcasting the ESPN Radio Network will also air Kootenai Fm. ESPN Radio was and is, also broadcast on 700 AM in Spokane. 92.5 Kootenai FM hit the airwaves on Nov 17th with a format of Holiday music. After the holidays, Kootenai FM will switch too Top 40 and 80's hit music. It was also be hyper locally focus airing local high school sports and University of Idaho sports games. Spokane Urgent Care , a program of CHAS, that's had a location in North Spokane for a few years now is expanding by opening a new second location in Spokane Valley. 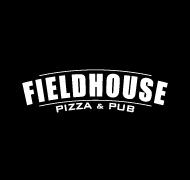 The North Spokane location, however will remain open for business at it's current location, 5901 N. Lidgerwood Suite 126. 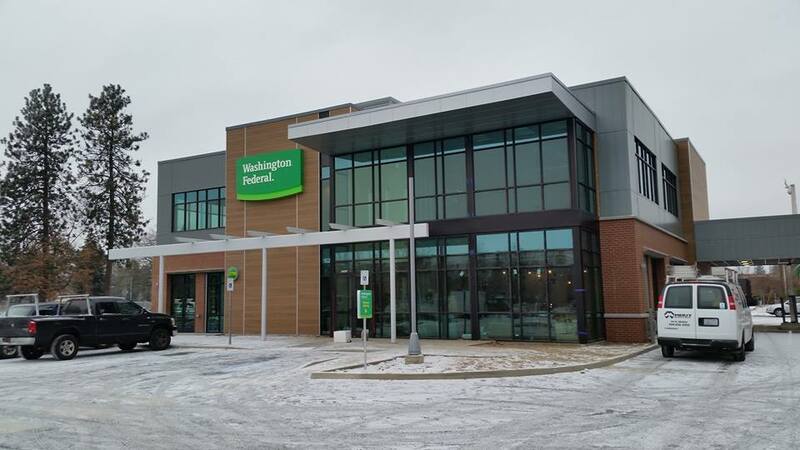 The Spokane Valley location of Spokane Urgent Care officially opened earlier this month in a CHAS owned building at 1512 N. Vercler Rd. . The Urgent Care center occupies the second story of the building there, with the main floor currently empty and undergoing a full renovation. The Urgent Care center may expand into the main floor in the future after the renovations are completed. 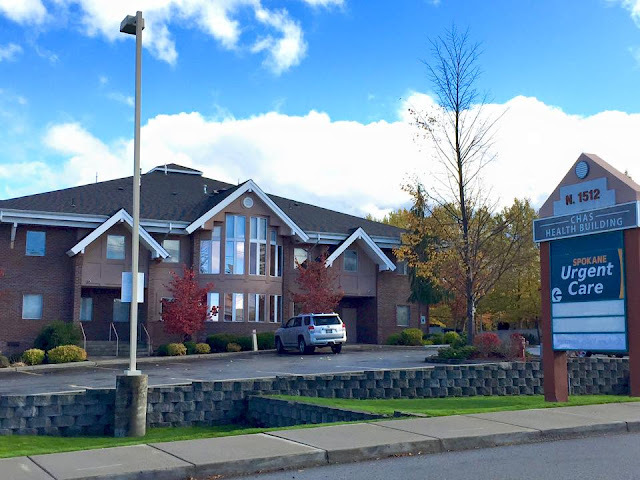 The Valley Spokane Urgent Care is conveniently nearby the Valley Hospital and only a couple blocks east of Pines near the Pines / I-90 intersection. The new location is a full service urgent care clinic with " 3.5 " practitioners and a total of 16 employees. The clinic is open 8am - 6pm during the week and 8am -5pm on the weekend. The Valley Spokane Urgent Care has a total of 8 exam rooms , a blood draw / IV room and a procedure room. Services at both Spokane Urgent Care are available to patients on a walk in basis. Private insurance, Medicaid and Medicare are all accepted and a flat fee based system is available to patients without insurance. Treatment is provided for minor emergencies, sports physicals and much more. The Observatory is now open for business in Downtown Spokane. 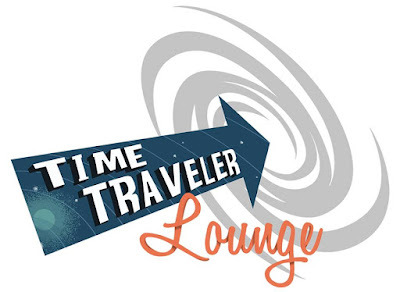 But, despite the name, The Observatory is actually a cool new bar & restaurant located just blocks south of the STA Plaza at 15 S. Howard. The business is the same storefront as the Blue Spark and another short lived bar, and will be convenient to the Ridpath once people start living in the newly created apartments there. The Observatory opened earlier this month and has a full bar with vast whiskey selection. Beer & Wine are also available and even many food items with a selection of appetizers and sandwiches. Among the food menu is unique items like the " fancy pants grilled cheese " and a few others. House made floats are also available . A rapidly growing locally owned and operated real estate firm, Prime Real Estate Group, is undergoing an expansion. Prime Real Estate Group, was started in 2012 in Spokane by local broker Mellissa Murphy . And, in just that short amount of time, Prime Real Estate Group has made a name of itself getting homes sold and employing 25 agents. The company also started a sister company, One Property Management, that specializes in managing rental homes. And, now the company is turning over a new leaf by opening a new real estate office in Coeur d' Alene. 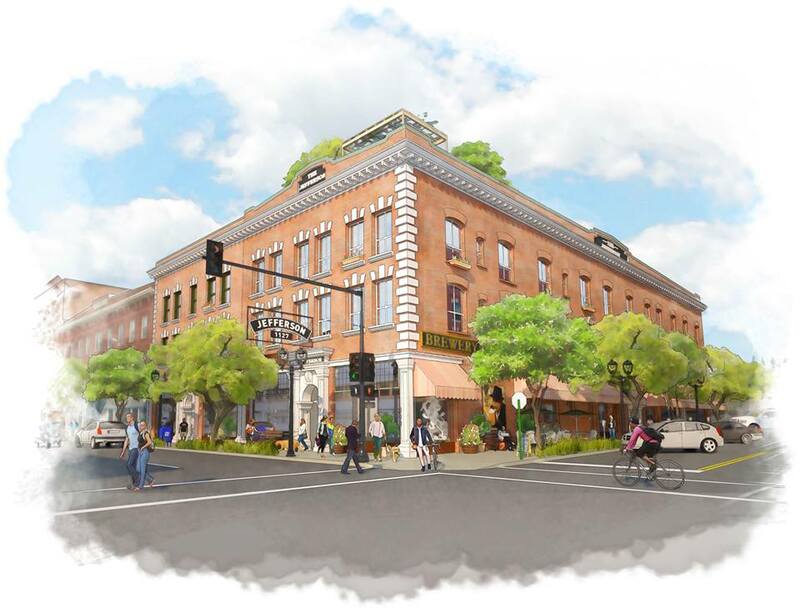 The Coeur d' Alene Prime Real Estate Group office will act as a satellite office of the Spokane office, which will remain in business in Downtown Spokane at 417 W. 1st . The Coeur d Alene office will be in the Riverstone development, leasing an office in the same office building as Kiemle & Hagood, an unaffiliated Spokane based commercial real estate firm. The Coeur d' Alene office of Prime Real Estate Group will occupy 1,000 square feet of space with a small group of Prime's existing agents already licensed to sell homes in Idaho. Prime is also actively seeking to hire new agents, even with a " carrier night " event coming tonight in the new office for people wanting to learn more about a carrier in real estate sales. Coeur d' Alene Growler Guys grand opening this month! The Oregon based, locally owned,Growler Guys chain is building upon it's successes in the Inland Northwest with two locations in Spokane already open. And, now The Growler Guys is only a couple of weeks away from opening a new franchise location in Coeur d' Alene. The Coeur d' Alene Growler Guys will host a grand opening celebration the weekend of November 20th & 21st . The new business is located at 225 W. Appleway , behind the Walgreen's at the corner of US 95 & Appleway . The new Coeur d' Alene Growler Guys will be a bit different then their locations in Spokane however. First of all, this location will have a drive though that is wrapping up construction of as we speak. And, while this new Growler Guys continues the chain's standard of filling growlers out of many taps, this store will also allow customers to sit in and enjoy a beer on site. 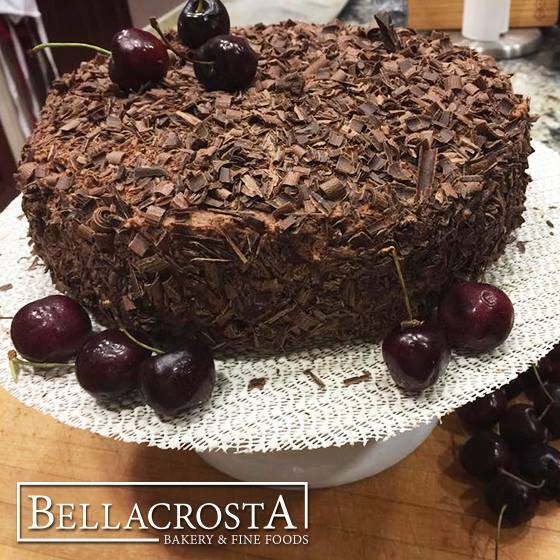 This in addition to a limited food menu of wings, artisan pizzas and more. Growler Guys in Coeur d' Alene will feature 48 taps for filling all sorts of growlers. Many different craft beers , many local , are available but also ciders, kombucha and cold brew coffees will also be on tap. And, during the grand opening , Growler Guys will be giving away 1500 free growlers with paid fill. In case you must our posts on social media recently, Inland Northwest Business Watch, has created a t-shirt to be sold via the fundraising site Booster.com . They are available through the end of the month ( unless otherwise noted ) and will ship at that time. So, why are we asking for money? This is something we hope to rarely do, but is necessary to grow this site into vehicle to drive our local business community. Profits are to further development of this site. Although, not an official announcement Inlandnwbusiness.com is currently considering hosting a small business show and sale, next year at a venue in Downtown Spokane. Some of the profits will go to creating an excellent show. The new Spokane Valley Dutch Bros. is located at 20 N. Pines Rd , near the corner of Sprague & Pines , behind Denny's and in front of an abandoned former Albertson's store. The new store has the same look as all other Dutch Bros. locations seen above with two lanes of drive through and two walk up windows. This location employs about a dozen and is open from 5am - 10pm (11pm on Fri & Sat. ) . 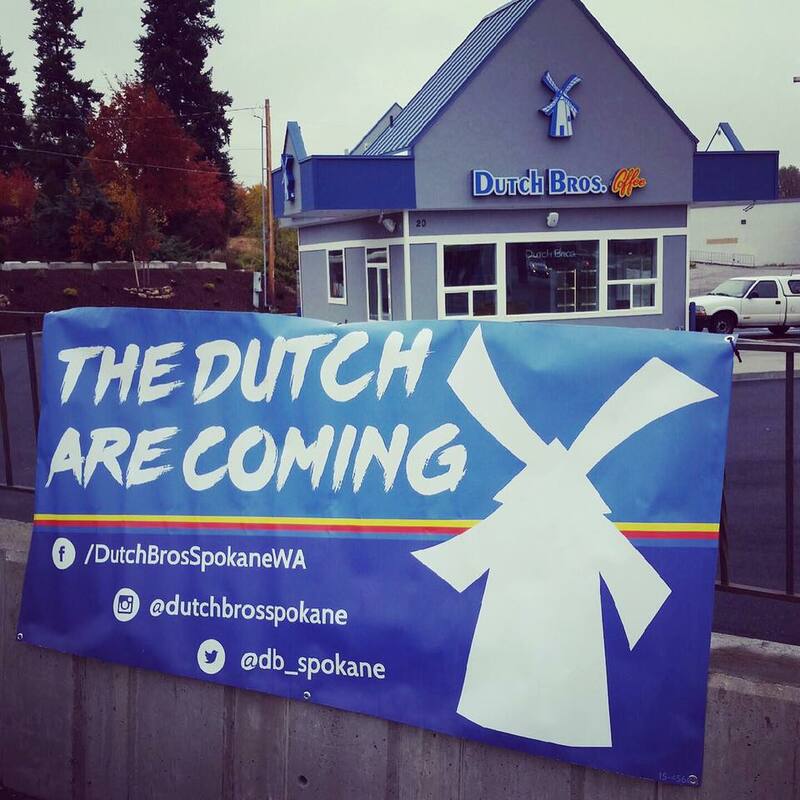 In the Spokane area, all Dutch Bros. locations are franchise locations owned by Rep. Kevin Parker. The local Dutch Bros. locations also recently moved into a new headquarters office inside the former Pizza Pipeline HQ building north of Downtown Spokane. Snow Fluff is a delicious frozen dessert with Taiwanese origins that is trending right now and popping up all over the nation. 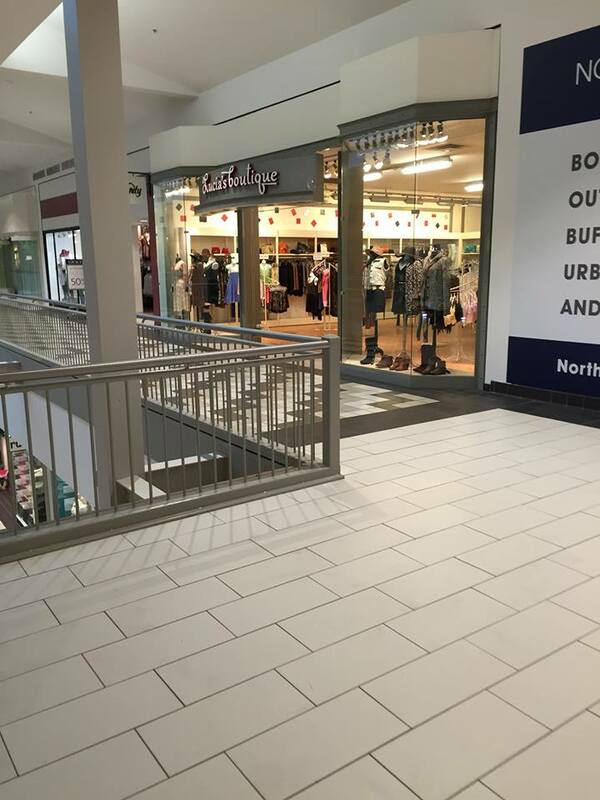 And, soon it will be Spokane's chance to try out the Snow Fluff trend with a new business specializing in it opening soon by North Spokane's Five Mile Plaza. 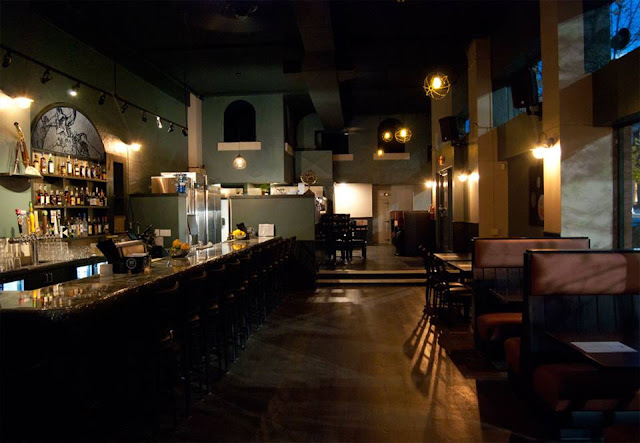 That business is called 40 Below, and currently they are in the final phases of remodeling their space, with an opening date happening possibly as early as the end of November. 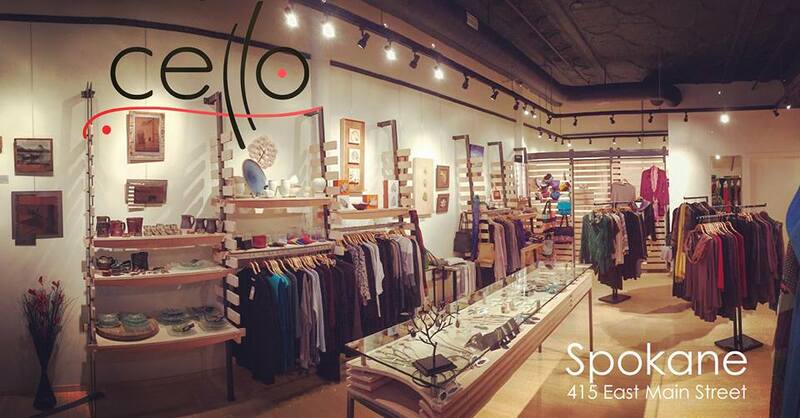 40 Below will occupy about 750 square feet of leased space there with 4-6 employees, the business is locally owned and operated. Snow Fluff is a frozen dessert that's similar to ice cream but ends up having the consistency of cotton candy. The Fluff is then topped with various toppings, like fresh fruits or popping boba balls, and 40 Below plans to have many topping options. Snow Fluff is frozen way below zero and then shaven into fluffy fresh powdered snow. In addition to the fluff options, 40 Below also plans to offer gourmet hot chocolates that come in several different flavors. With 3 straight years of winning the Best of Spokane award from KREM 2 News for best dog boarding, it's obvious that Doggyland is doing something right. And, now the locally owned and operated dog day care and dog boarding business is moving up to a new bigger building. While Doggyland is in a new location, it is still in the same general vicinity of their original location and still in Spokane Valley. 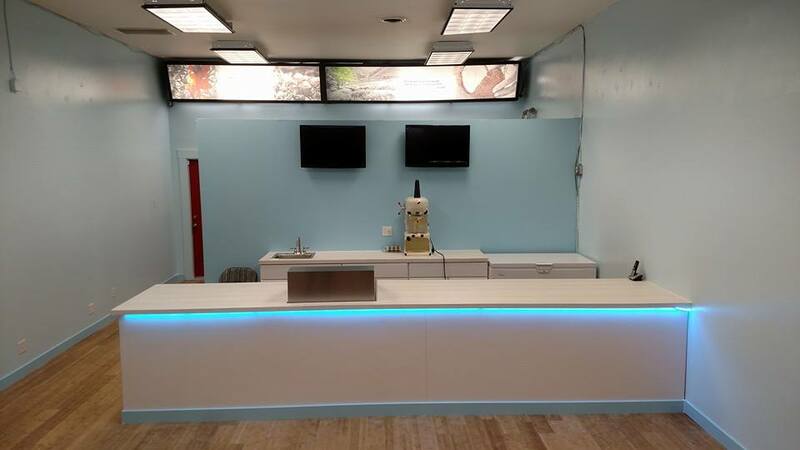 Doggyland has been a tenant in the Freeway Center building on Montgomery, that space is now empty as Doggyland has completed their relocation. Today, Doggyland can be found at 10021 E. Knox Ave. where all of the same services continue in a approximately 13,000 square feet building. The business offers completive pricing on all their services and even offers a trial day to give dogs a chance to " socialize " with the other dogs at Doggyland to see if daycare there is a good fit for their furry family member. 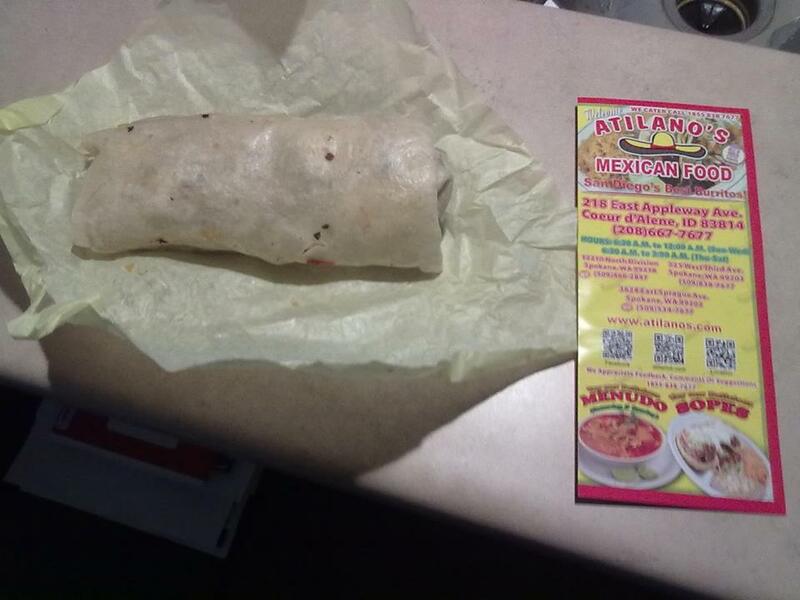 They are open seven days a week with hours starting as early as 6:00 AM during the week. Photos of their furry customers are also regularly posted on their Facebook page, allowing human customers to check up on the pets. Spokane loves IKEA, many local homes, including my own, have IKEA furniture in them. But, there is one thing missing, a IKEA store in our area. In fact the closest IKEA stores are both over 300 miles away in Seattle and Portland. 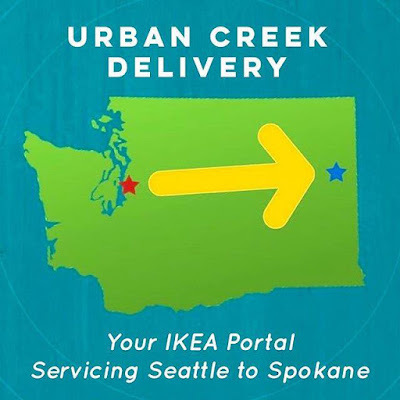 But, one new company, based out of Seattle is hoping to help the Lilac City out of our IKEA withdraws by providing delivery from the Seattle store to Spokane. And, this new company takes it one step further, by even offering furniture assembly! The business is named Urban Creek Delivery, and is very convenient concept. Customers select what they want, submit a shopping list to Urban Creek Delivery and they do all the work. From shopping to assembly and then loading up their truck and delivering your items directly to you! All IKEA items are available and delivery is still cheaper then the delivery providers IKEA uses, which cost a minimum of $350 in delivery charges. Urban Creek delivers merchandise to Spokane usually every two weeks, but that is dependent on the order volume. Urban Creek Delivery delivers to homes and also businesses, college dorms even storage units all around Spokane. To celebrate the launch of Urban Creek Delivery, they are holding an exciting contest! Urban Creek Delivery is giving away $500 in IKEA furniture, with four pieces going out to four people! To enter to win, visit their Facebook page, listed below and click on contest! "Spokane Tunnel Car Wash" project starting soon in West Central, evicting many. 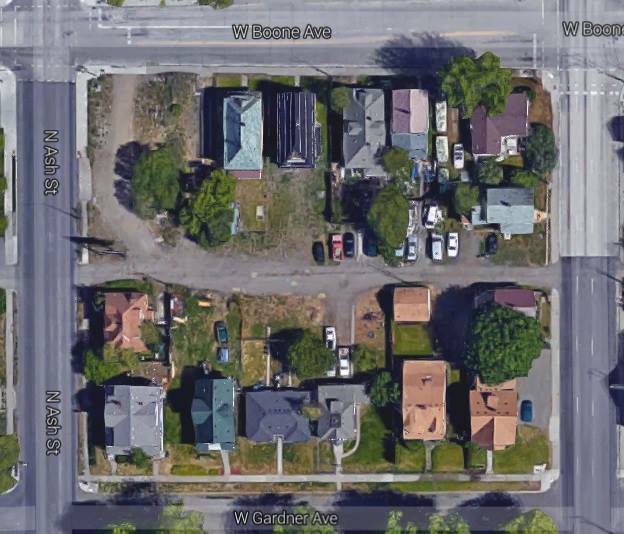 In case you haven't heard the news via our area media outlets, a new car wash is being planned to be built in Spokane's West Central neighborhood. The project, which is currently called the Spokane Tunnel Car Wash , would normally not be a big news item. But, it's what is happening to the site before the car wash opens that is causing a stir, and possibly even re-starting the ongoing conversation about our city's dire need for low income housing options. The car wash site sits along N. Ash , between Boone Ave & Gardner Ave. The site is currently occupied by several rental homes, most, if not all of those homes are occupied by low income families. The car wash developer , Sarff Investments , a Spokane Valley based company ( 13505 E. Broadway ) led by owner Harold Sarff, is only giving those residents 27 days to pack up and leave their homes. This, before the Sarff Investments team comes in to remove the homes, something many view as " immoral " . The plan was originally rumored to include a coffee shop of some kind, however that rumor is not true and the block will only house the new car wash. On permits the car wash is being called Spokane Tunnel Car Wash. 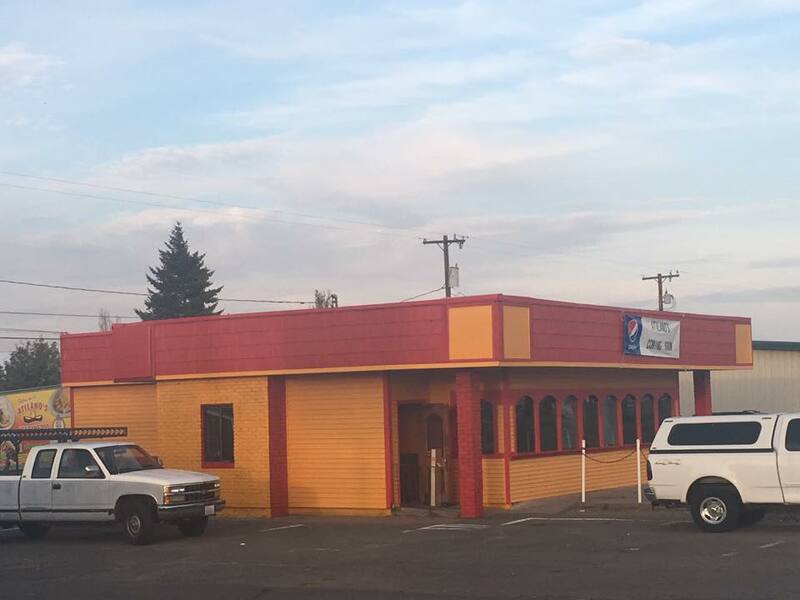 However the developer , Sarff Investments , already owns one car wash in Spokane with a similar style, leading us to think this car wash may a second location of that business. That car wash is the Mega Wash Express Car Wash & Detail Center at 17316 E. Sprague Ave. in Spokane Valley. Sarff Investments issued a statement regarding this project , saying the new car wash will employ 12 with " well paying jobs " . After a long process of remodeling and getting things ready, Pinot's Palette , is about ready to open there second location in the Inland Northwest. 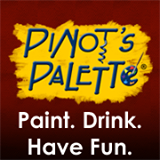 Pinot's Palette is a franchised based chain of " paint n' sip " art studios with wine / beer and live art instruction from local experts. Their original Inland Northwest location will remain in business even after the Coeur d' Alene location opens. That location is inside the former Spokane Public Market building at 32 W. 2nd, that location opened in Feb. of 2014. The Coeur d' Alene Pinot's Palette will have a grand opening on Friday, November 27th . The upcoming class schedule will likely go live by the end of this week! The Coeur d' Alene Pinots Palette location is in the Midtown neighborhood in a 1,365 square foot storefront, by Kelly's Irish Pub at 728 N. 4th St. The new studio will be much like the Spokane location, where anyone can be an artist. Paintings are taught from professional artist who teach in a step by step, easy to understand manner. 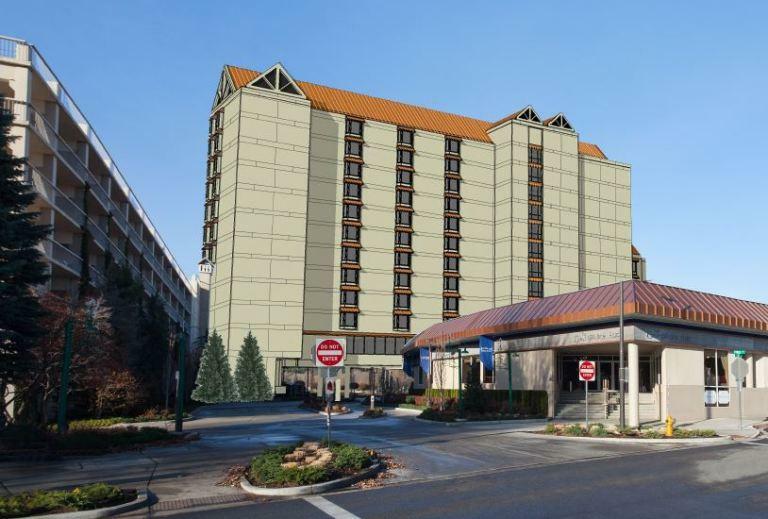 New High rise building planned by the River in Downtown Spokane. Note: This is a revised posting of something briefly posted on this site. That article gave the information that this building would be built on the same site as Anthony's . That was not correct, and in fact Anthony's is actually the owner of their building and has no plans to leave. With that said, a new high rise building is in the works for Downtown Spokane. The site of the building is just off of the Upper Falls of the Spokane River on the north bank. It is more commonly known as the current site of the former YWCA building. Because of it's proximity to Spokane Falls has given the purposed skyscraper it's current name, The Falls . 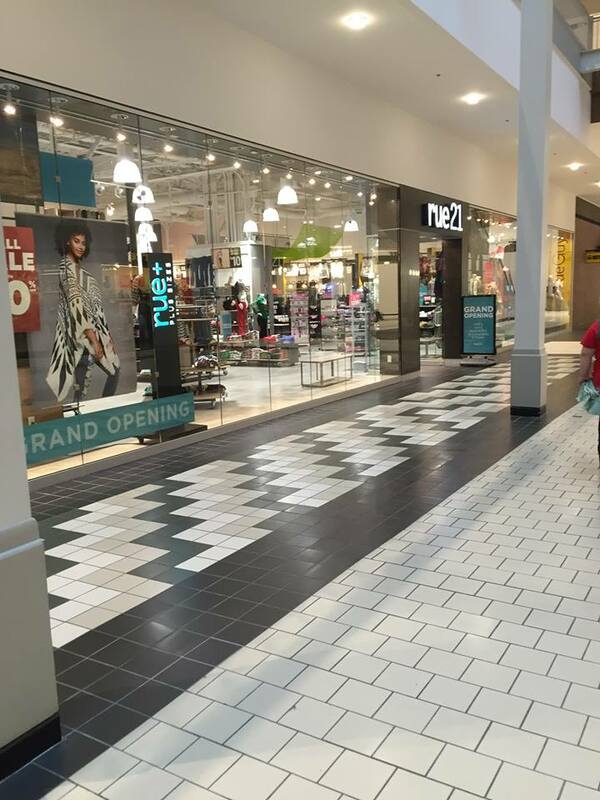 The Falls is a development project of The Falls,LLC , who is affiliated with LB Stone Properties who are the same developers as the Playfair Commerce Park. Playfair is a successful, up and coming development of factories and warehouses on the site of the former Playfair Race Course in East Central Spokane. The Falls building is currently early in the planning phases, and although we have confirmed it as a project of LB Stone, no renderings or tenants, etc... have been released . LB Stone however is now hiring a project manager to oversee the project's development. The Falls is planned to be a 12 story tower in a convenient neighborhood near most of Downtown and the Spokane Arena. The project will be built in phases with no set start date for construction. We'll keep an eye on this project so watch for more updates as the plan progresses. The Falls is not the only high rise planned currently in the Downtown area. 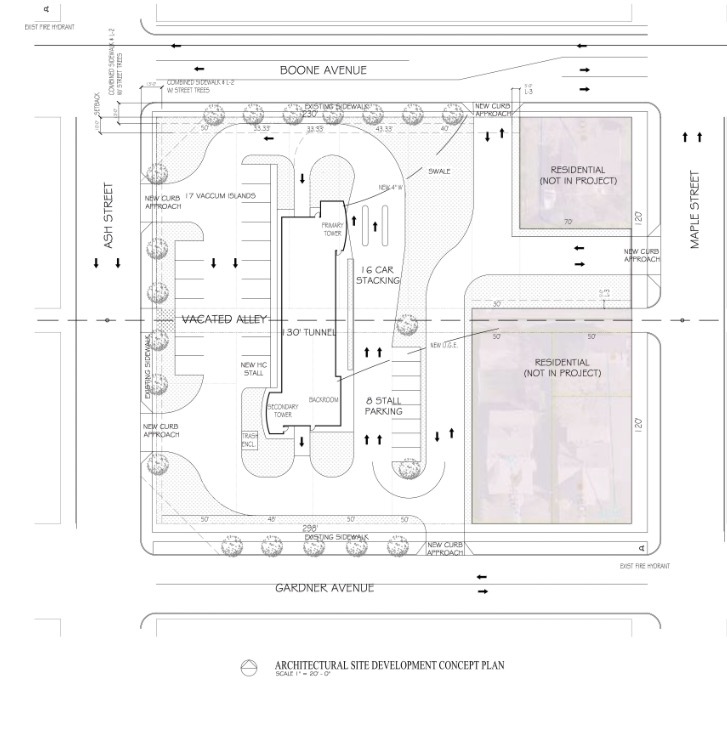 Another, larger building is planned on the eastern side of Downtown. That building is also only in the planning phase and will include some commercial uses but will mainly be a apartment tower, geared towards students in University District. That building will rise ( if built..) at the corner of Spokane Falls Blvd. and N. Division where an abandon auto repair shop stands now. That project is not related to The Falls development.